President Muhammadu Buhari speaks during a meeting at the State House in Abuja on November 2, 2018. President Muhammadu Buhari has reassured Nigerians that all will be done to ensure that the outcomes of the 2019 elections reflect the will of the people. He said he understands the yearnings of the people and strongly believes in the collective dream for a greater country. The President made the remarks on Thursday when he received Letter of Credence from the Ambassador of Finland to Nigeria, Dr Jyrki Pulkkinen, at the State House in Abuja. “I respect the people’s feelings. I assure all that we will have a free and fair election next year,” he was quoted as saying in a statement by his media adviser Femi Adesina. 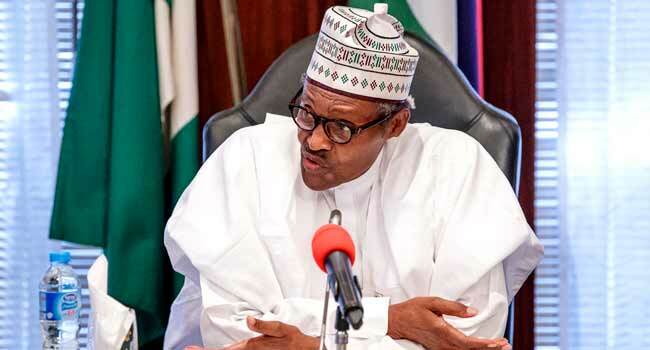 President Buhari said Nigerians reserved the right to elect leaders at various levels in 2019, stressing that all efforts would be made to safeguard the integrity of the process. He congratulated Finland on its 101st independence anniversary (December 6, 2018) and commended the growing relations with Nigeria, especially in areas of Information Communication Technology (ICT), trade and education. In his remarks, Ambassador of Finland said the areas of mutual benefit in relations with Nigeria can be extended to electricity, smart technology and crises management initiatives. He also assured the President that he would work hard to improve the trade figures and exchanges. “We will like to contribute to Africa rising, and we know that Nigeria is the biggest country on the continent, so we are very interested in the growth of Nigeria,” Pulkkinen said. At the level of the United Nations, Dr Pulkkinen said his country would continue to support the restructuring of the multilateral institution to give greater roles to African countries like Nigeria.